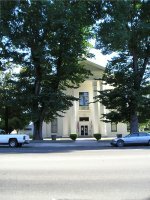 The Colusa County Courthouse is the oldest remaining courthouse in the Sacramento Valley. 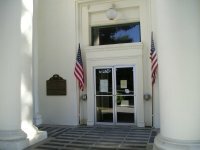 The courthouse doors, flanked by American flags. 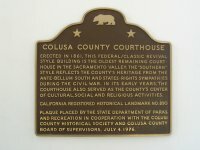 The official marker plaque is to the left of the doors. 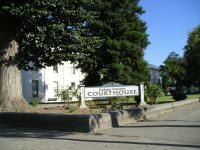 View of the courthouse from Market Street.